The May Day 2012 march of Occupy Wall Street. Photo by "asterix611 on Flickr":https://secure.flickr.com/photos/asterix611/7142050759/sizes/m/in/photostream/ and used here under Creative Commons license. Since September, police have arrested dozens of journalists and activists around the country for the “crime” of trying to document political protests in public spaces. People using smartphones and mobile devices are changing the way we record and share breaking news. In return, police have targeted, harassed, and in many cases, arrested those trying to capture images and video of public events. No city better epitomizes the escalating conflict between journalists — both professional and citizen — than New York, where more than 30 people have been arrested while reporting on Occupy Wall Street. This conflict has now sparked a major lawsuit that brings together an odd coalition of plaintiffs including five elected officials, professional and citizen journalists, and Occupy Wall Street activists, who are suing the city alleging that the NYPD is out of control. The federal court suit was announced the day before massive May 1 protests marked the next stage of Occupy Wall Street around the country. Whether you're a credentialed journalist, a protester, or a bystander with a smartphone, you are guaranteed freedom of speech, freedom of assembly, and freedom of access to information." The details of the suit, Rodriguez v. Winski, provide a stark look at how clashes between police and the public are threatening critical freedoms, just as new technology is encouraging more people than ever to commit acts of journalism. 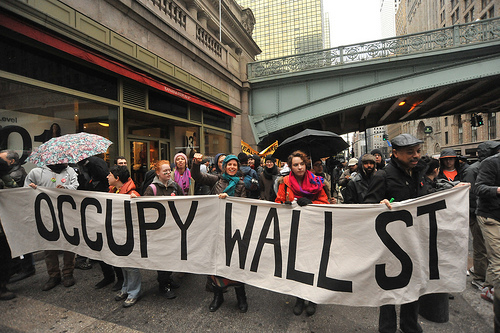 the Occupy Wall Street movement began. It has gotten so bad that America’s global press freedom ranking has dropped to a historic low, according to two separate surveys. In recognition of World Press Freedom Day on May 3, Freedom House, an international human rights organization, released its 2012 press freedom rankings, noting that the United States had dropped to No. 22 in the world. Earlier this year, Reporters Without Borders revealed that the U.S. had plummeted to No. 47 in its press freedom index. Both organizations point to the ongoing assaults and arrests of journalists at Occupy protests as a key factor in the United States’ slipping rank. As the media landscape changes, new First Amendment conflicts are emerging on city streets and in the halls of power. However, the First Amendment doesn’t just apply to journalists, nor to the risks associated with flexing your First Amendment rights. Police across the U.S. continue to crack down on bystanders using their phones to record police in public. In early May, for example, two Mississippi teenagers were arrested for using their phones to record police investigating a shooting at their apartment building. Even though the 19-year-olds were recording police activity in a public place, officers stormed into their apartment, handcuffed them, and seized the cell phone. Whether you’re a credentialed journalist, a protester, or a bystander with a smartphone, you are guaranteed freedom of speech, freedom of assembly, and freedom of access to information. Your right to document public events must also be protected. The right to record is an essential component of our rights at a time when so many of those witnessing public protests carry networked, camera-ready devices such as smartphones. Continuous access to the open Internet and social media — over both wired and wireless networks — is also essential. Unfortunately, not everyone sees it this way. 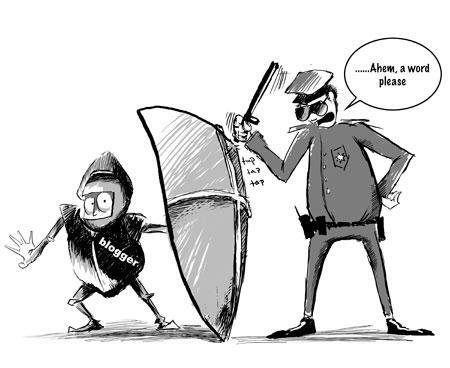 During the May 1 Occupy protests, at least three journalists were arrested and many more reported rough treatment at the hands of local police. This isn’t an issue specific to one city or one group of protests. This is a national problem that is threatening to undermine one of our core freedoms. Conflicts like this are escalating in cities large and small, and all too often, the First Amendment is caught in the middle. The Reporters Committee for Freedom of the Press has used World Press Freedom Day to remind journalists and media makers that they must also be advocates for everyone’s freedoms. “On World Press Freedom Day — and every day — we must speak out whenever we see or experience the press being stifled,” wrote Executive Director Lucy Dalglish. What’s becoming increasingly clear, is that the public also has a critical role to play. It is essential for journalists and the public to work together to defend our shared rights and protect our shared freedoms.